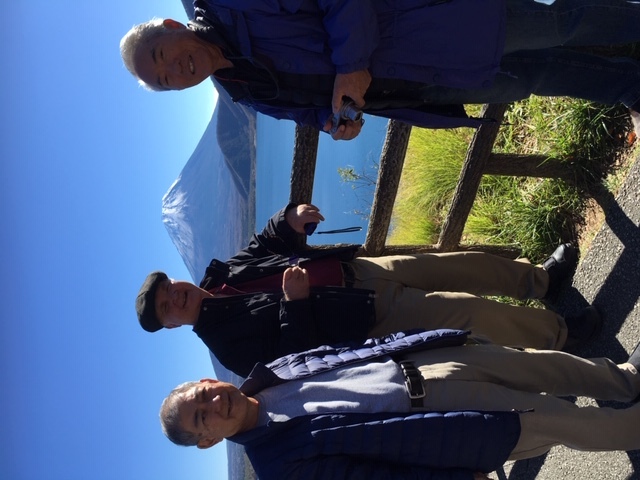 Photo sent by Jimmy Hayakawa of three classmates taking in an excellent view of Mt. Fuji, during a recent Japan tour of Osaka & Kyoto. Each one travels frequently to Japan, but this is a first for the three being together on the same tour. L to R. Jimmy Hayakawa (‘62), Mark Kaneshiro (‘62) & Milton Tsuda (‘62).